UNITED NATIONS: Venezuela’s political showdown moves to the United Nations Saturday where a Security Council meeting called by the United States will pit backers of President Nicolas Maduro against the Trump administration and supporters of the country’s self-declared interim leader Juan Guaido. US Secretary of State Mike Pompeo is expected to address the meeting along with Venezuelan Foreign Minister Jorge Arreaza and the other council members, which include supporters of both duelling presidents. But the standoff could set the scene for more violence and has plunged troubled Venezuela into a new chapter of political turmoil that rights groups say has already left more than two dozen dead as thousands take to the street demanding Maduro to step down. 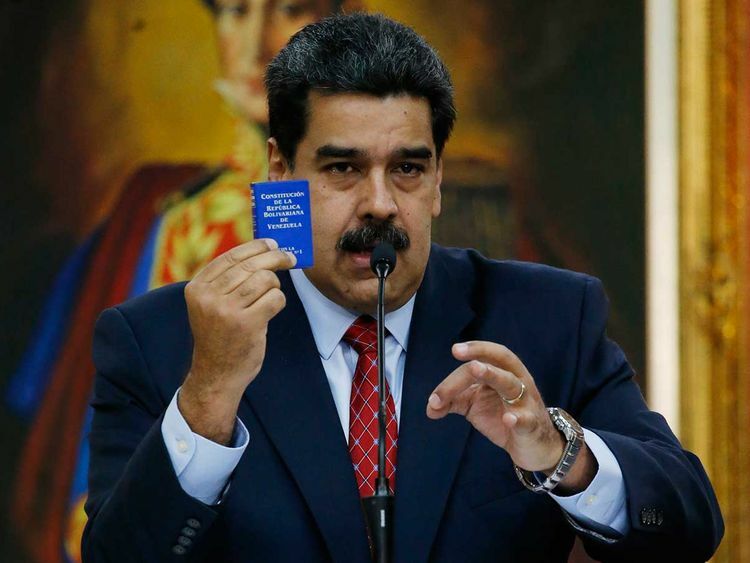 The government of President Donald Trump announced it was recognising the 35-year-old leader of the opposition-controlled National Assembly quickly after his oath, leading Maduro to say that he was breaking all diplomatic ties with the United States. Guaido’s move is the most direct challenge to Maduro’s rule despite years of protests at home and international efforts to isolate the regime amid a growing humanitarian crisis fuelled by falling oil prices and government mismanagement. Maduro is accusing the opposition of working with the US to overthrow him. 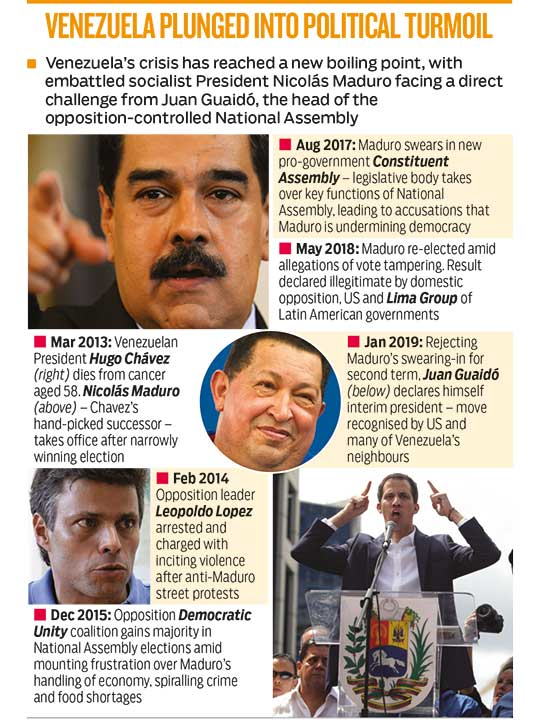 Though over a dozen nations as well as the Inter-American Development Bank are recognising Guaido as president, Maduro still has the support of the military and powerful, longtime allies like Russia and China and is vowing to defend his socialist rule. Saturday’s Security Council session comes despite Russia’s objection to its focus on Venezuela, according to UN diplomats. It wants the focus changed to threats to international peace and security because as Russian Foreign Minister Sergey Lavrov said, it sees US actions as an “obvious call for a coup d’etat” — which would threaten peace, the diplomats said. “The international community is watching more closely than ever before, so Venezuelan security forces — and those commanding them — should know they will be held to account for any abuses,” Jose Miguel Vivanco, the Americas director for Human Rights Watch, wrote on Twitter. US and Venezuelan diplomats are finding themselves caught in the crosshairs. On Wednesday, Maduro gave American diplomats 72 hours to leave the country — an order Washington said it would defy by keeping the embassy open, though it told non-essential staff to leave.